Brody, H., “The Etiology of Colonic Cancer,” Journal of the South Carolina Medical Association 69:412-415, November, 1973. Brody, H., and Castrow, F. F., “Photolocalized Tinea Facialis,” Cutis 17:913-915, May, 1976. Brody, H., and Pirozzi, D. J., “Benign Mucous Membrane Pemphigoid-Treatment with Cyclophosphamide,” Archives of Dermatology 11:1598, November 1977. Brody, H., and Stallings, W., Fine, R.M., Someren, A., “Carcinoid in an Umbilical Nodule,” Archives of Dermatology 114:570, April, 1978. Brody, H., and Meltzer, H., “Spindle Cell Lipoma – An Unusual Dermatologic Presentation,” Archives of Dermatology 114:1065, July, 1978. Brody, H., and Cohen, Marshall, “Black Tongue Associated with Methyldopa Therapy,” Cutis 38:187-188, 1986. Brody, H., “Medium-Depth Peeling of the Skin,” videotape, Emory University Videotape Library, 1985. Brody, H., and Hailey, C., “Medium-Depth Peeling of the Skin,” Journal of Dermatologic Surgery and Oncology 12:1268-1275, 1986. Brody, H., “Medium-Depth Peeling of the Skin,” Advances in Dermatology, Vol. 3, Yearbook Medical Publishers, Chicago, IL, pp 205-219, 1988. Brody, H., “Atmospheric Chlorofluorocarbons,” Atlanta Medicine 61:17-19, No. 7, 1987. Brody, H. J., “Peeling Chimique de Moyenne Profondeur,” J Med Esth et Chir Derm Vol. XIV, No. 56, pp 313-318, 1987. Brody, H. J., “Chemical Peeling Guidelines,” Case Log User’s Newsletter, Quarterly Bulletin, American Society for Dermatologic Surgery, 1989. Brody, H. J., Guest Editor, Chemical Peeling ed., Journal of Dermatologic Surgery and Oncology, Vol. 15, No. 4, 1989. Brody, H. J., “Variations and Comparisons in Medium-Depth Chemical Peeling,” Journal of Dermatologic Surgery and Oncology, Vol. 15, No. 4, pp 953-963, 1989. Brody, H. J., “Complications of Chemical Peeling,” Journal of Dermatologic Surgery and Oncology, Vol. 15, No. 4, pp 1010-1019, 1989. Brody, H. J., “The Art of Chemical Peeling,” Journal of Dermatologic Surgery and Oncology, Vol. 15, No. 4, pp 918-921, 1989. Brody, H. J.,” Book Review on Dermabrasion and Chemical Peel: A Guide for Facial Plastic Surgeons by E. Gaylon McCollough, M.D. and Phillip Royal Langsdon, M.D.,” Journal of Dermatologic Surgery and Oncology, Vol.. .15, pp 885-886, 1989. Brody, H. J., Alt, T.H., Book Chapter No. 6 on “Chemical Peeling,” in Cosmetic Surgery of the Skin: Principles and Techniques, eds. Coleman WP III, Hanke CW, Alt TH, Asken S, BC Decker, Inc., Philadelphia, pp 65-88, 1991. Brody, H. J., Book Chapter: “Chemical Peeling” in Dermatology, eds. Moschella SL and Harley HJ, WB Saunders Co., Philadelphia, pp 2483-2508, 1992. Brody, H. J., “Chemical Peeling,” Canadian Journal of Dermatology, Vol 2, No 2, pp 33-36, April-May 1990. Brody, H. J., “Letter to the Editor: In Memoriam — Samuel J. Stegman, M.D.,” Journal of Dermatologic Surgery and Oncology, May 1990. Brody, H. J., “Estrogen Replacement Therapy in Perimenopausal and Postmenopausal Women, a Philosophy,” Atlanta Medicine, Spring 1990, pp 43-49. Brody, H. J., “Chemical Peel” in Fundamentals of Dermatologic Surgery for the Dermatologist, Association of Academic Dermatologic Surgeons, eds. Geronemus RG, Hanke, CW, Schaumburg, Illinois, 1992. pp 53-56. Brody, H. J., “Update on Chemical Peels,” Advances in Dermatology, Vol 7, Mosby-Year Book Medical Publishers, Chicago, IL, pp 275-289, 1992. Brody, H. J., Chemical Peeling, Mosby-Year Book, Inc., St. Louis, Missouri, 1992. Brody, H. J., “Ethics in Chemical Peeling,” Journal of Dermatologic Surgery and Oncology 17:620-621, 1991. Brody, H. J., “Letter to the Editor — RE: The Role of Chemical Peeling in the Treatment of Photodamaged Skin,” Journal of Dermatologic Surgery and Oncology 17:622-623, 1991. Brody, H. J., Chemical Peeling Brochure for the American Society for Dermatologic Surgery, 1992. Brody, H J., “Book Review on Sclerotherapy: Treatment of Varicose and Telangiectatic Leg Veins by M.P. Goldman, M.D.,” Mosby-Year Book, 1991, in Journal of Dermatologic Surgery and Oncology 18:446, 1992. Brody, H. J., “Medium Depth Chemical Peeling” in Facial Rejuvenation – Chemical Peel and Dermabrasion, Monograph, Am Acad Cos Surg, ed. Beeson, WH. 1993. Goldman MP, Weiss RA, Brody HJ, Coleman WP, et. al., “Treatment of Facial Telangiectasia with Sclerotherapy, Laser Surgery, and/or Electrodessication: A Review.” Journal of Dermatologic Surgery and Oncology 19:899-906, 1993. Brody, H. J., “Update in Chemical Peeling,” Perspectives in Plastic Surgery, Vol. 7, No. 2, pp 127-142, 1993. Coleman, W. P. and Brody, H. J., “Combination Chemical Peeling” in Dermatologic Surgery, eds. Roenigk, H. and Roenigk, R., 1995. Alt, T. H., Brody, H. J., Book Chapter #5 on “Chemical Peeling” in Male Aesthetic Surgery, eds. Marchac D., Granick M., and Solomon M., Buttenworth- Heinemann, Newton, MA, pp 59-91, 1996. Matarasso, S., Brody, H. J., Glogau, R., “Chemical Peels” in Atlas of Cutaneous Surgery. eds. Robinson, J.K., Arndt, R., LeBoit, P., and Wintroub, B.U., WB Saunders Co., Orlando, FL, pp 351-361, 1996. Brody, H. J., “Current Advances and Trends in Chemical Peeling,” Journal of Dermatologic Surgery and Oncology 21:385-387 , 1995. Brody, H. J., “Trichloroacetic Acid Applications in Chemical Peeling,” Operative Techniques in Plastic and Reconstructive Surgery, Vol. 2, No. 2, pp 127-128, 1995. Coleman, W.P., Brody, H.J., “Combination Chemical Peel”, in Roenigk & Roenigk’s Dermatologic Surgery, Principles and Practice, Second Edition. eds. Roenigk, R.K., and Roenigk, H.H., Jr., Marcel Dekker, New York, NY, pp 1137-1145, January 1996. Matarasso S.L. and Brody H.J., “Deep Chemical Peeling” in Seminars in Cutaneous Medicine and Surgery, Vol. 15, No. 3, pp 155-161, 1996. Brody HJ, Coleman WP, Piacquadio D, Perricone NV, Elson ML, Harris D, “Round Table Discussion of Alpha Hydroxy Acids,” Dermatol Surg 22:475-477, 1996. Coleman WP and Brody HJ, “Advances in Chemical Peeling” in Dermatology Clinics, 15(1):19-26, 1997. Brody HJ, “How the Skin Responds to Chemical Peeling” in Skin Resurfacing, eds. Coleman WP and Lawrence N, Williams & Wilkins, Baltimore, pp 37-44, 1998. Lawrence N, Cox SE, Brody HJ. “Treatment of Melasma with Jessner’s Solution Versus Glycolic Acid: A Comparison of Clinical Efficacy and Evaluation of the Predictive Ability of Wood’s Light Examination,” Journal of the American Academy of Dermatology 36:589-93, 1997. Glogau R, Lieu D, Brody H, Fresneda AC, Carey W, Rubin M, Scorca LR, Dupuy P, “Avene Springwater Spray is Effective in the Healing of Face Skin After Chemical Peeling”, submitted for the European Academy of Dermatology and Venereology meeting in Dublin, Ireland, September 1997. Commentary on: “The Short and Long-Term Effects of Carbon Dioxide Laser Resurfacing” in Dermatologic Surgery 23:525, 1997. Glogau RG, Beeson WH, Brody HJ, etal: Letter to the Editor regarding Obagi’ s Modified TCA Controlled Variable Depth Peel in Annals of Plastic Surgery 38:298-302, 1997. Brody H.J., “Hypopigmentation in Skin Resurfacing” in The Journal of Geriatric Dermatology, Vol. 5, No. 5, pp 201-202, August 1997. Brody, H.J., Investigator, B-LIFTx Peel System, Medicis Pharmaceuticals, 1997-1998. Brody H.J., Book Review – “Facial Skin Resurfacing” by Baker TJ, Stuzin JM and Baker TM, Quality Medical Publishing, St. Louis, MO, 1998 in Journal of the American Academy of Dermatology 39:665-666, 1998. Lawrence N, Coleman WP, Cox SE, Brody HJ: “In Defense of Cosmetic Surgery for Aging,” Arch Dermatol134:1295-1296, 1998. Brody H.J., “Complications of Chemical Peels” in Narins R: Cosmetic Dermatologic Surgery, An Interdisciplinary Approach, Marcel Dekkar, New York, 2001. Brody H.J., “Topical Rejuvenation of Sundamaged Skin” in Skin Cancer Foundation Journal, 17:28, 1999. Brody H.J., “Skin Resurfacing: Chemical Peels” in Fitzpatrick’s Dermatology in General Medicine, Fifth Edition, eds: Freedberg IM, Eisen AZ, Wolff K, Austen KF, Goldsmith LA, Katz SI and Fitzpatrick TB, The McGraw-Hill Companies, Inc., 11:2937-2947, 1999. Brody, H.J. “Dermatology at the Millennium: The Proceedings of the 19th World Congress of Dermatology.” Eds. Dyall-Smith D, Marks R. London: The Parthenon Publishing Group. 1999. Brody, H.J., Dialogues in Dermatology, “Chemical Peeling and Resurfacing,” 1999. Brody, H.J., “Chemical Peel: An Updated Review,” Journal Cutaneous Medicine and Surgery, 3:14-20, 1999. Brody, H.J., “Complications of Chemical Peeling”, Dermatology Clinics of North America, In Press. Brody, H.J., Coleman, W.P., C.W. Hanke, N. Orentreich, S.B. Kurtin, R. Bennett, “History of Dermatologic Surgery in the United States,” Dermatologic Surgery; 26:5-11, 2000. Brody, H.J., “Resurfacing in Dermatology and Dermatologic Surgery,” Journal of the Japan Society of Aesthetic Surgery, 37:1, 2000. Brody, H.J., Monheit, G.D., Resnik, S.S., Alt, T.H., “History of Chemical Peeling,” Dermatologic Surgery, 26:405-409, 2000. Brody, H. J., “The Underestimated Importance of Dermatologic Surgery,” Archives of Dermatology,136:1174, 2000. Brody, H.J.  : “What’s in a Name: Are We Dermatologic Surgeons or Surgical Dermatologists?” Archives of Dermatology 2000; 136:1406-1407. Brody, H. J.: “Complications of Expanded Polytetrafluoroethylene Facial Implant,” Dermatologic Surgery2001; 27:792-794. Brody, H.J., “Non-Physicians Practicing Medicine: A Consumer Safety Issue,” Cutis, 68:366, 2002. Brody, H. J., Geronemus, R. G. and Farris, P. K.: “Beauty vs. Medicine: the Non-Physician Practice of Dermatologic Surgery,” Dermatologic Surgery 29; 319-324, 2003. Brody, H. J.: “Skin Resurfacing: Chemical Peels” in Fitzpatrick Textbook of Dermatology, ed: Goldsmith, L. In Press, 2003. Coleman W. P. and Brody H.J.  : “Efficacy of Low-Strength Glycolic Acid Application in the Treatment of Melasma: Letter to the Editor.” Archives of Dermatology 139:811-812, 2003. Jones D. H., Carruthers A., Orentreich D., Brody H.J. : “Highly Purified 1000 Centistoke Silicone Oil for Treatment of HIV-associated Facial Lipoatrophy: An Open Pilot Trial.” Dermatologic Surgery30:1279-1286, 2004. Brody, H.J. : The Use of Hyaluronidase in the Treatment of Granulomatous Hyaluronic Acid Reactions or Unwanted Hyaluronic Acid Misplacement. Dermatologic Surgery 2005 Aug;31(8 Pt 1):893-7. Draelos, Z. and Brody, H.J., eds: Cosmeceuticals: A Special Issue. Dermatologic Surgery 31:7:796-889, 2005. Brody, H.J. : The Relevance of Cosmeceuticals in Dermatologic Surgery. Dermatologic Surgery 31:7: 796-798, 2005. Coleman, W. and Brody, H.J. : Chemical Peeling. In Roenigk R and Roenigk H, Textbook of Dermatologic Surgery. Marcel Dekker, 2006. Alam M., DesJardin J., Brody H.J. : A Quality Rating Scale for Aesthetic Surgical Procedures. Journal of the American Academy of Dermatology 2006 Feb; 54(2):272-81. Hirsh RJ, Brody HJ, Carruthers JD: Hyaluronidase in the Office: A Necessity for Every Dermasurgeon that Injects Hyaluronic Acid. J Cosmet Laser Ther 2007; 8:9. Toombs, E, Brody HJ, Callendar V: Treatment of Problems Unique to Ethnic Skin and Hair. Deramatol Therapy 2007; 20(3):121-157. Brody HJ: Clinical Tips. Skin and Aging; 2009; 6:17. Brody HJ: Letter to the Editor, Phenol-Croton Oil Peeling Aesthet Surg J, 2009; 29(5): 446. Brody H: Do Chemical Peels Tighten the Skin? For Special edition on Skin Tightening; Dermatol Surg 2014; 40:S129-S132. Jones D, Black J and Brody HJ: Liquid Injectable Silicone: Soft Tissue Augmentation, ed. Carruthers A and Carruthers J in Dover, JS: Procedures in Cosmet Dermatol, Elsevier/Saunders, 2017. Brody, H.J., Chemical Peeling, Mosby-Year Book, Inc., St. Louis, Missouri, 1992. Brody, H.J., Chemical Peeling and Resurfacing, 2nd Edition, Mosby-Year Book, Inc., St. Louis, Missouri, 1997. Brody, H.J., Chemical Peeling and Resurfacing, 3rd edition, paperback; Emory University digital publication (Amazon.com), 2009.